Chief Minister Andrew Barr has not enjoyed an entirely perfect kick-off in the top job. After a long and successful innings from the factionally unaligned Jon Stanhope, Katy Gallagher was rigorously groomed for a smooth transition. Although Barr is an experienced minister and possibly the best performer in responding to questions in the Assembly, he has not enjoyed the same preparation as his predecessor did. As with any longstanding minister, if you want to find dirt and controversy, you can. As a minister, Barr has closed 23 local schools, presided over record debt, and will go ahead with a billion-dollar light rail project. Team Labor could have done without the gaffe-prone Joy Burch putting her foot in it when it was revealed she concealed a her decision to allow $50 notes to be used in ACT poker machines. Although the Chief Minister laid the blame squarely on Burch, it was also revealed that Deputy Chief Minister Simon Corbell signed off on the regulation too. Unable to admonish his deputy and Burch within his first week, one wonders what Katy would have done. Did she jump from a sinking ship? It is fair to say that, compared with other jurisdictions in Australia’s recent past, the ACT’s Labor/Green government is one of the most collegial power sharing alliances. There are a few factors that make this so. The first is that Shane Rattenbury has proven to be a diligent minister. The second is that the Greens and the ACT’s brand of Labor are natural allies. The Canberra Liberals could have offered Rattenbury ten tram sets in 2012, yet Rattenbury would not have formed government with them for fear he would have destroyed the ACT’s Greens brand. The third reason for the perceived harmony between the two parties is that Rattenbury will say yes to anything so long as the light rail project goes ahead. Many Greens supporters were over the moon about light rail, but now that they realise that trees have to be removed along the corridor of Northbourne Avenue, they’re not so happy. Animal rights campaigners have been outraged that Rattenbury gives his support for the annual kangaroo cull, and now we hear rumours of a deer cull! As a protest to the kangaroo cull, in the 2013 federal election, the Animal Justice Party directed its preferences to the Liberals before the Greens (go figure), which almost guaranteed the failure of Greens senate candidate Simon Sheikh. 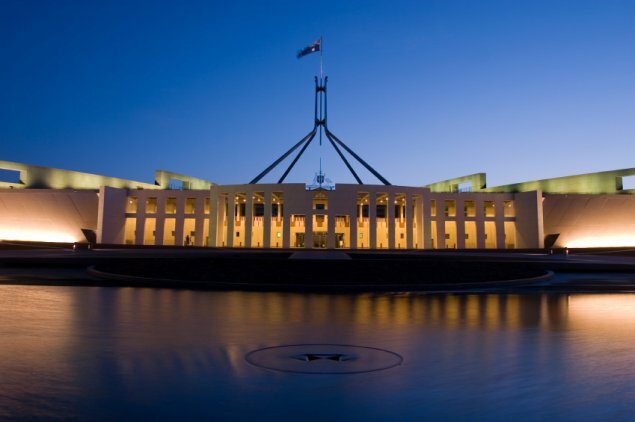 Given that the two major parties have moved to abolish the seven-seat electorate, it will be numerically more difficult for any party to win a seat in the ACT Legislative Assembly. The split in the ACT’s environmentalist movement may very well ensure the complete failure of the greens at the next election, except for maybe Rattenbury. More of just the same. The ACT’s public housing waiting list is growing at an unsustainable level. A productivity commission report has found that the waiting list for public housing has grown by more than 900 throughout the past four years. 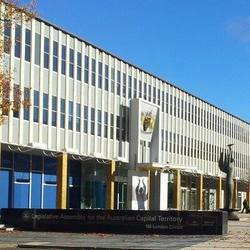 As a result of the report, Canberra’s media is reporting that the ACT’s unenviable title of having the second highest rate of homelessness is new. The unfortunate fact is that it isn’t new, and this has been the case for years. This issue will make for fertile political ground in the lead up to the territory’s 2016 election. Liberal Shadow Minister for Housing has hit the airwaves speaking on the issue with a great deal of corporate knowledge. Before becoming an MLA after Zed Seselja resigned for the senate, Lawder was CEO of Homelessness Australia and has worked with a number of related charities. Incoming Minister for Housing Yvette Berry will have her work cut for her in the lead-up to the 2016 election. It should be noted that Giles has previously run for office in the ACT’s seat of Fraser. Rupert Murdoch has hit Twitter again calling for Tony Abbott to sack his chief of staff for, presumably, allowing him to make silly decisions. Well, that’s it Rupert. No Knighthood for you! It would have been good if the print media in Canberra gave Nicole Lawder a bit more of a go on this issue. The article that I saw in the Canberra Times was only about Yvette Berry’s response to the report. Why didn’t they ask Lawder for her response? She’s probably the most knowledgeable person in the assembly on the issue of public housing. Nicole doesn’t need the “support” of the Canberra Times as she is actively door-knocking in her electorate and following up with emails and newsletters. I can’t recall a Labor member ever knocking on my door in 20 years. I have read papers she has written about the homeless and she really is passionate about the subject. Barr was a lousy treasurer. Lousy. He talked a big game but every one of his balance sheets shows just how bad he was. The Libs should have made a much, much bigger deal about his consistently poor budgets and the growing debt he delivered, because God knows the Canberra Times and the TV news outlets won’t say a damn thing about it. Good review. It is interesting how the Libs are running (very successfully) with homelessness/public housing. Such a Labor stronghold issue that they seem to have neglected.